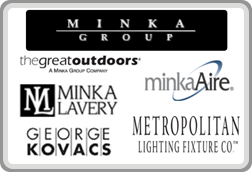 Take a look at our manufacturers’ websites in order to gain a better understanding of the lighting and ceiling fan options we offer. Feel free to contact us at 870-772-1332 or stop by our showroom with any questions. * All brands and trademarks remain property of the respective manufacturers.